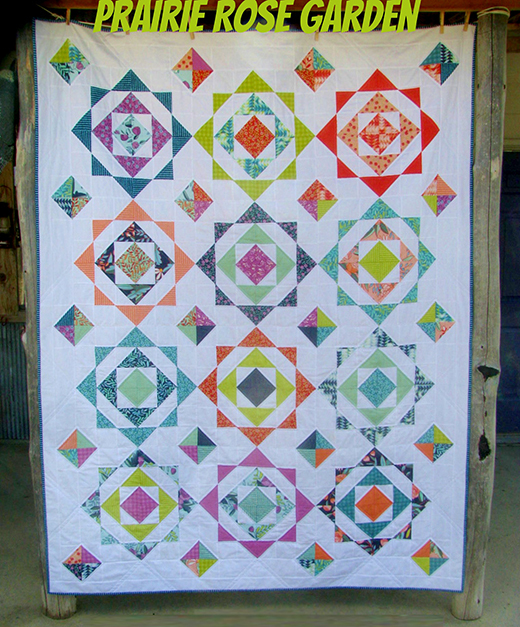 This Prairie Rose Garden Quilt designed by Sarah Zimmerman of Ceddar Fork Stitches for Modabakeshop, The Tutorial is available for free. "today I give you “Prairie Rose Garden”… orderly rows of roses, complete with stepping stones, and a tidy little border! No sore knees or dirty fingernails from the making of this garden, and the blooms will endure fresh, from season to season!"